"I'm a psychologist working with mothers who regret having kids." "I work with mothers who regret having children. This is what I tell them." All mothers have momentary wishes that they weren’t scratching dried vomit from their clothes as they leave the house, that they didn’t have an audience on the toilet or could experience a night of solid uninterrupted sleep. For some, the regret of having children is not a momentary experience but a desperate painful yearning that drags on all day every day. These woman are often forced to suffer in silence as it is not socially acceptable for mothers to think “if I had my time over I wouldn’t have children” let alone express this regret to others. While these women consistently report their “love” for their children they also go into great detail about their distress in their role as “mothers”. I listen without judgement and with empathy. These women are not inhumane monsters but people in pain. I try to create a safe space for them to explore all their negative thoughts, feelings about being a mother which generate such guilt, shame, grief and isolation. I explain that they are not alone in their experience, there are other mothers that have similar thoughts and feelings. I try to provide hope that the work we do together can bring relief, despite the fact they are confronted with the unchanging and overwhelming job of being a mother every day. I explore the possible reasons for their loathing of motherhood. The experience of depression and or anxiety before and or while pregnant and or after the birth of their child(ren), unrealistic expectations, isolation and lack of social support, not ever wanting to have children or being uncertain and felt pressured into have them, or negative changes in the relationship with your adult partner after having children. Grieving for the loss of the life (socially, career) and the person (rested, self focused) they were before they had children, finding the perceived demandingness of their child(ren) unbearable, unexpectedly becoming a single parent and the overwhelming juggle of work and family life balance are also contributing factors. Listen to women who regret having children on MMOL. Once we have shone a light on the cause of their motherhood distress, we then attempt to bring about positive change. Mothers often not only want to feel better themselves (and sometimes don’t believe this is possible) but want to make sure they are not damaging their child(ren). It is important to note that there are mothers who have experienced many of the above, and have not regretted having their child(ren). However, for some mothers the reasons above have contributed to them feeling like life as a mother is an inescapable misery which makes them wish they had remained childless. Practical ideas such as trying to build in some “ALONE TIME” into their daily/weekly schedule – whether that’s leaving the child(ren) with their other parent, friends, family, child care or crèche (at the gym) and so on. Practical ideas to build in some “CONNECTION TIME” with their child(ren) into their daily/weekly schedule. This may seem like the last thing a regretful mother would want to do, but it’s important to spend non-stressed time with their child(ren) rather than just feeling enslaved to them. Pick activities you enjoy and include them. Rather than forcing yourself to visit a playground if you can’t stand them as your resentment is likely to grow. Try to identify their NEEDS versus WANTS in all their different roles – mother, wife, daughter, worker and so on. Then work on getting those needs met wherever possible. Try to identify their CHILD(RENS) NEEDS versus WANTS in their role as your child(ren). This can be tricky to identify but children’s behaviour is always a form of communication of their underlying needs. Children are always driven to seek connection with you. Even when they’re seen as demanding attention they are really seeking connection. The more consistently parents meet their needs of their child(ren) the more independent they become over time. Whereas, if children’s needs are consistently unmet they often develop challenging behaviours which are difficult to manage (to communicate their unmet needs) which in turn can reinforce their parent’s regret about becoming a mother. Attempt to bring ACCEPTANCE to their life as a mother no matter how distressing it can feel. To avoid becoming “stuck” in the pain of regret. Unless they decide to leave their child(ren) motherhood is not something that is just going to go away with time. Being prepared to explore and re-evaluate rigid, black and white thinking. For example, “I can’t do anything I want as a mother” versus “I will enlist the support of others to give me time to do some of the things I want, even if they are modified versions of what I could do before children”. Not putting off the opportunity to find happiness (at least moments of it) until your child(ren) leave home. Keep a look out for ANY TINY MOMENTS that don’t bring despair and can even bring joy. Whether it’s 1 minute of peace and quiet, drinking a hot cup of tea, taking a hot shower, receiving an unsolicited smile or hug from their child(ren), watching their child(ren) sleep. If paid attention to and “eaten up” these moments of calm and connection (no matter how fleeting) can off set some of the negative experiences of being a mother. Arm themselves with a greater understanding of child development. Accurate knowledge about their child’s development and capabilities reduces unfair expectations placed on their child(ren), generates empathy for their child(ren) and can help decrease their frustrations of motherhood. Re-evaluate the pressures they, others and society place on them to “do it all” – unfortunately mothers aren’t superhuman. Stop the demoralising and unattainable goal to be “perfect” – buy pre-cooked dinners / get takeaway, skip the house cleaning and sit and read a book or go to the gym. Actively chose a balance between activities that are unavoidable but draining and those that are nurturing (including their child(ren) where possible). Becoming a mother is often a time of enormous stress. Changes occur to many facets of life – their adult relationship, body, social life, sleep (or lack thereof), work, and sense of self. These changes and pressures can lead to feelings of distress, anxiety, depression. And potentially the notion of wishing they had never become a mother, but once they are it’s too late to change it. If you are experiencing motherhood distress it’s important you know it’s never too late to seek support, not only for yourself but for your child(ren) and family. Therapy can help validate and normalise the pain you experience in being a mother. It can support you to bring acceptance to the fact you and your life has changed forever. It can assist you to explore ways you can make positive change so motherhood is less intolerable, and you and your child(ren) are getting your needs met. Therapy may not make you love being a mother, but it can help bring relief to the situation, and strengthen your love and relationship with your child(ren). 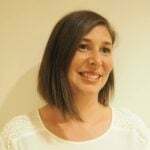 An Adelaide psychologist and mother of three boys, nine, six and one, Hanna Beaven specialises in families’ emotional well being in the stages of trying to conceive, pregnancy, and parenting babies and young children. You can find out more about Hanna on her website or Facebook page. Have you experienced &apos;mother regret&apos;? Would you consider seeing a psychologist about it?